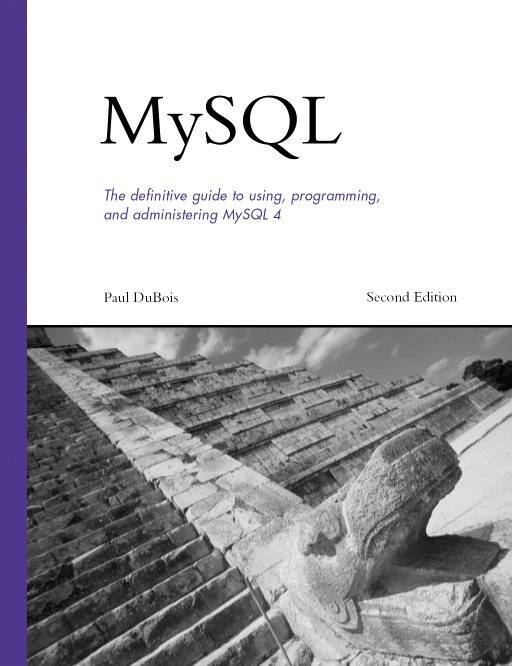 This page provides information about MySQL, Second Edition, (a.k.a. "Doorstop II"), published by Sams Publishing. The most current printing is the Fourth Edition. MySQL is a comprehensive text that covers how to use and administer MySQL databases, and how to write MySQL-based programs in C, Perl, and PHP. It also includes several reference appendixes. Note: The 1.03 distribution corrects a critical error in the score_entry.php script. Note: The 1.05 distribution contains regenerated SSL certificates to replace the original ones that have expired. If you have an earlier distribution, please get an updated one.